Reporting to the Human Resources (HR) Manager, the National Service Coordinator will provide support to the National Service programs (VISTA and AmeriCorps) at Our House and partner organizations. Our House operates a high-quality VISTA program and is now an intermediary site for AmeriCorps VISTAs. Partner organizations can apply through Our House to be a Sub Site and host a VISTA at their organization. By connecting community partners with resourceful VISTAs, this position will be integral in helping smaller nonprofit organizations expand and improve their programs and services. The National Service Coordinator will have the opportunity to organize program services including, but not limited to, professional development, orientation, and program monitoring and evaluation for Our House and Sub Sites. This position will assist Our House and Sub Sites in managing national service programs, complying with program requirements, recruiting talented professionals, and ensuring service members are impactful in their roles and grow their professional skills to accomplish their career goals. •	Provide high level customer service to potential partner organizations, current partners, and internal staff. •	Coordinate and implement hiring and exiting systems with Site Supervisors and Directors to ensure all member files are compliant with federal, state, and Corporations for National and Community Service (CNCS) requirements. •	Ensure compliance with CNCS requirements/expectations for AmeriCorps and AmeriCorps VISTA. •	Carry out effective recruitment strategies to successfully fill open Our House National Service positions. •	Coordinate onboarding new team members for Our House and Sub Sites. •	Proactively invest in fostering a positive corporate culture that upholds the Our House Guiding Principles. •	Manage the required onboarding tasks of each National Service member to ensure they are correctly completed within deadlines. •	Track uniform needs and ordering. •	Maintain National Service member files. •	Assist with coordinating and providing training or support to AmeriCorps VISTA and AmeriCorps supervisors. •	Identify and provide professional development opportunities for National Service members with assistance from the VISTA Leader. •	Oversee Sub Site monthly report monitoring and tracking. •	Monitor Sub Sites to ensure that project requirements and objectives are met on a timely basis. •	Assist with other member activities including but not limited to timesheets, leave time, and reports. •	Build partnerships and serve as liaison with community organizations who are interested in applying to host a VISTA. •	Assist in recruiting VISTA Sub Sites and oversee their VISTA programs, including trainings for site supervisors. Manager program to align with Our House strategies, comply with VISTA rules, and be financially sustainable. •	Be a strong champion for Our House, its mission, and its clients both externally and internally. •	Assist Human Resources Manager with ensuring personnel files are compliant with federal and state requirements. •	Conduct other duties as assigned to fulfill Our House’s mission. •	Minimum of a Bachelor degree. •	Three years of work experience with one year being in program management or five years of work experience. A combination of education, volunteer, and work experience can be considered. •	Previous National Service experience preferred. •	Previous nonprofit or Human Resources experience preferred. •	Strong verbal communication skills. •	Proficiency in basic word processing and Excel. •	Demonstrate respect for the dignity of all people and values diversity and empowerment. •	Must be trustworthy, hard-working, positive, and a team-player. •	Must possess a valid driver’s license and vehicle to use in performance of job. 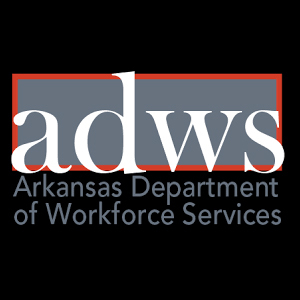 Position requires some travel within Central Arkansas. The deadline to apply for this position is March 25, 2019.